In 2012, I was charged with a felony for possession and distribution. It was my first arrest, and my family had contacted Jerry because he had done me a tremendous favor (at no cost) back when I was 16 and received an MIP. Based on some evidence and a codefedant, Jerry was able to completely dismiss my case. 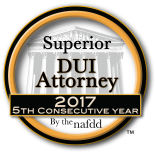 This year, in 2016, I received a DUI charge, and Jerry’s partner Will Breitigam, helped to plead my case down to a DWAI, and I did not have to lose my license or get a restricted license. Without Jerry and Will, those two cases could have severely effected my life for the worse, and I am grateful for their professionalism, hard work and dedication. The firm’s legal assistant Lindsey, and their receptionist Brittany, are both extremely friendly, kind and helpful. I highly recommend Roselle & Breitigam!